Search Marketing is in a way how companies data mine. They look at when people type key words into google and what website they click on first etc. 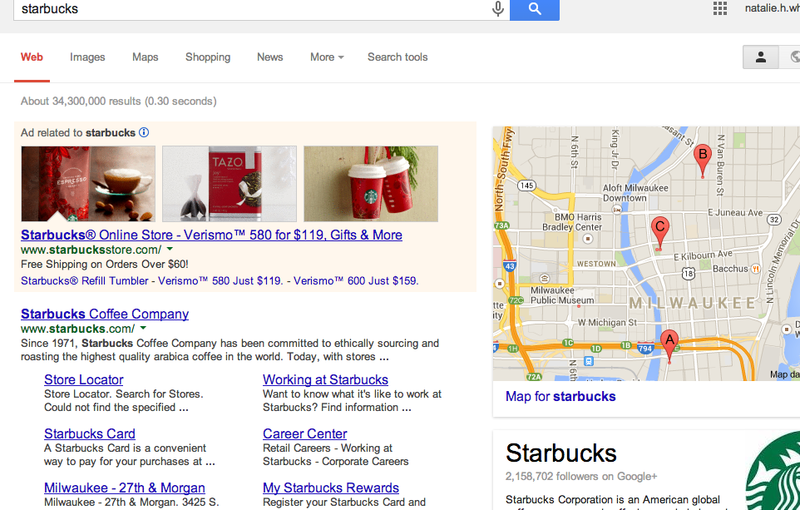 For Starbucks, when you type the name into google, you can see that it says "Ad related to Starbucks." This is something that they paid to have show up when someone types in Starbucks. This is also another example of search marketing. 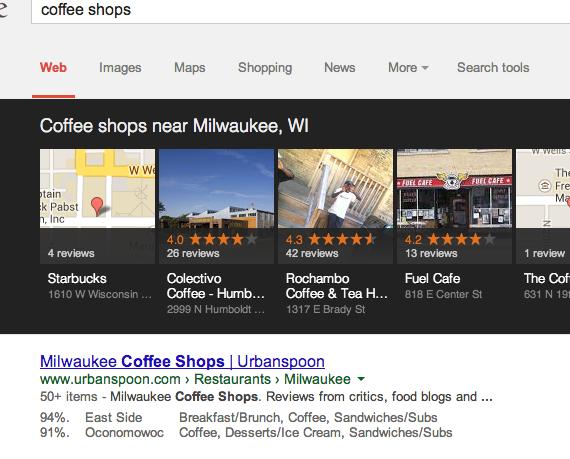 When I typed in "coffee shops" Starbucks was cut and clear the first one to pop up. This one is not paid but rather based on my location. So Starbucks found out the location in which my computer is at and gave me the closest one too it. That is actually the Starbucks I go to almost every day which I thought was funny. In early October Starbucks launched a new campaign in support of ending the government shut down. They did this by text messaging because they thought it would reach the greatest amount of people. This campaign was truly about incorporating their customers into the support to ratify the problems going on in the U.S. government. The campaign was without-a-doubt very intensive and thorough. Joining the campaign was very easy and Starbucks set it up to be this way. The picture below shows how people could easily get involved. The text message campaign actually brought so much support that when the CEO released a video on Instragram, the video had over 30,000 likes by the end of the day. This is also a very smart idea for them because, "When the campaign winds down, Starbucks would be smart to prompt consumers to join the coffee giant’s main SMS program to stay up to date on offers and promotions from the brand. "(Johnson, 2013) This was a smart way that Starbucks integrated more of their customers to not only be involved with the government shut-down but also become more involved than they had been previously.